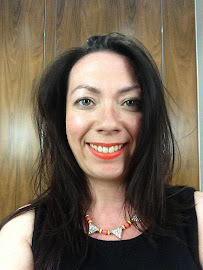 Before I 'officially' started beauty blogging I walked into Space NK and sought help. Having hit my thirties and begun watching YouTube videos I suddenly decided I needed to step things up a notch in the foundation department. Two products were applied on either side of my face and I went away, asking colleagues which looked better and returned to purchase By Terry's Light Expert. Fast forward to a few months ago and I headed to Space NK once again for the relaunch of the By Terry Light Expert Click Brush*. By Terry aim to produce products for a 'radiant and flawless complexion' and the Click Brush certainly helps achieve radiance and more on the flawless element later. Did you know Terry de Gunzurg is responsible for the famous YSL Touche Eclat? The Light Expert Click Brush is designed to highlight, touch-up, blend and sculpt which are some pretty big claims and I think honestly you will be pushed to achieve all of these factors with one single brush, it would very much depending on your own skintone and the colour choice you make. Darker skins will struggle to find a match from the six colour line up. Having used the original version I was able to offer some comparisons and firstly is the brush. The click button at the bottom of the tube is there, thankfully larger than before allow it to stand up, and will dispense four dots of 'correcting light prisms', 'camouflage micro-pigments' and 'mineral powders' through the newly designed kabuki brush. This is an improvement I much preferred. 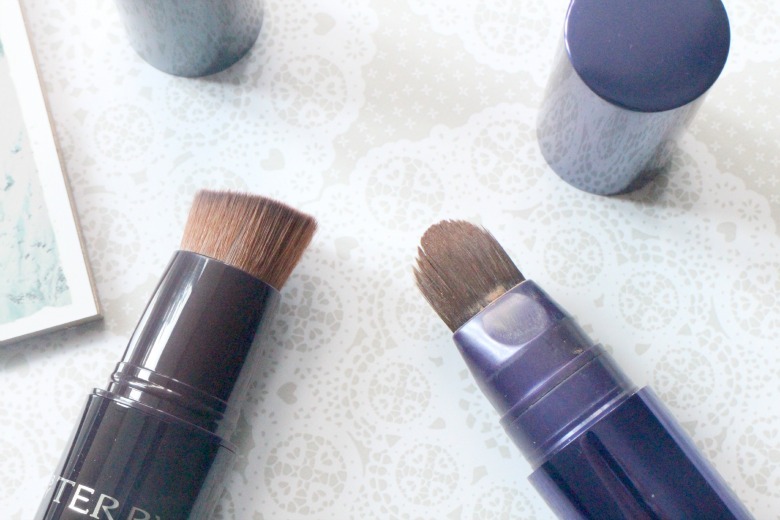 I have never enjoyed the paintbrush style for foundations and the short hairs allow you to buff the product into the skin. 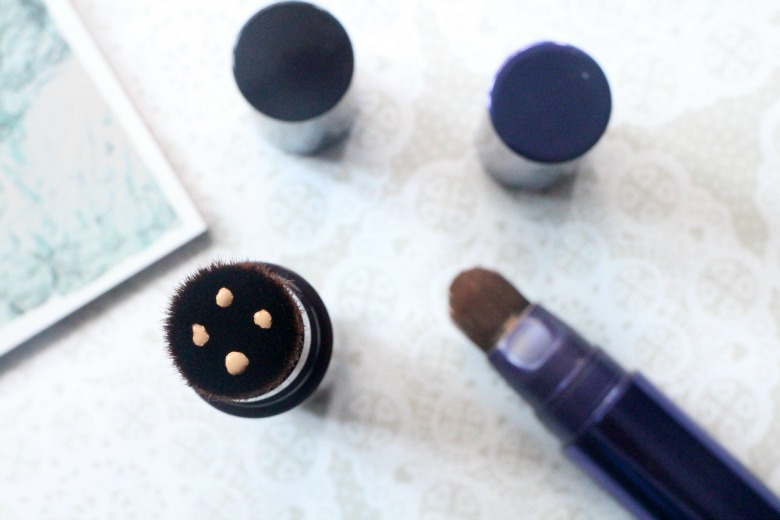 Whilst the brush is an improvement I still found that I had to go in with my fingers to blend it properly and imagine if you were looking to build up for a fuller coverage then your foundation brush preference would need to be used. 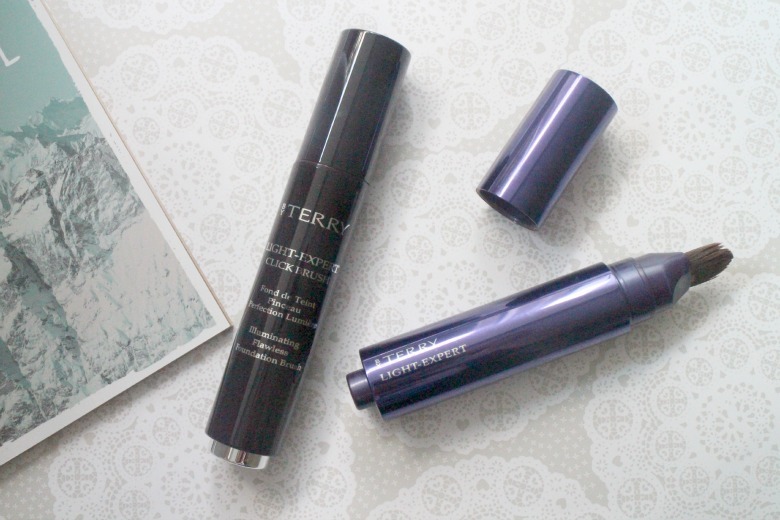 The product feels like velvet on the skin and leaves a radiant satin finish. I looked in the mirror and felt flawless but in a different way from my usual bases, it was like my natural skin had been photoshopped. In fact I wore this at the weekend when popping out with my mum, hair was tided back, I had only the By Terry Light Expert and some mascara and mum commented how good my skin looked. I didn't really want to admit I actually had some help. You'll most definitely get a light coverage with the product, and it will feel as if you're not wearing anything on your skin but it will not conceal any major dark circles or blemishes. Of course you can go in with your usual concealing products and pile on bronzers and the like but I enjoyed the faux appearance of this amazing skin day and found it perfect for my weekends when I tend to potter around home or run errands and don't want the fuss of a full made up face. Aside from being such a beautiful product the best thing for me is that you can now reveal how much product remains. There's nothing I hate more than being unable to see when I'm nearing the end of my favourite beauty products and this was something that concerned me with the original version. Obviously as you can see from the photos I still have the original but it's some years old and I have no idea whether I'm scrapping the bottom of the tube or not. You can also clean the brush of the new version which is another great improvement. This is a wonderful product and one I'd urge the natural bases lovers to try although there is the downside that it doesn't come cheap. This revolutionary click brush retails at £48 which is a high price to pay for flawless skin but with it's new improvements is certainly worth it compared to its earlier version. Would you like to try the By Terry Light Expert Click Brush? 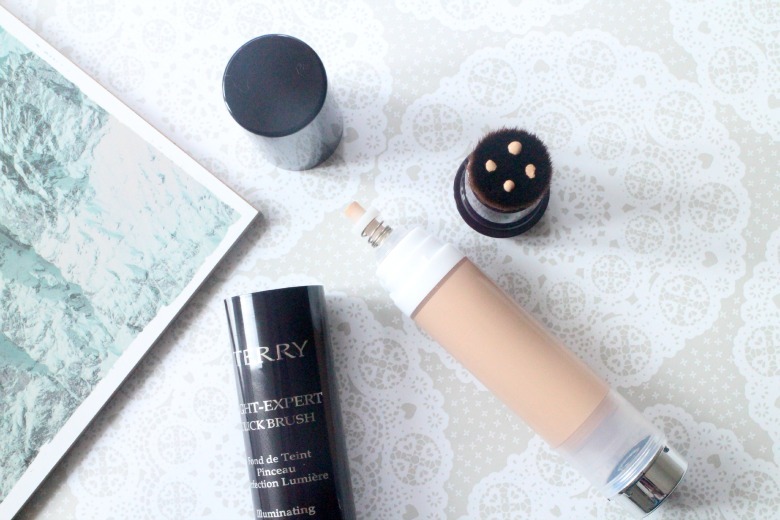 Read your post with interest as I've just purchased a powder from By Terry which I love and am definitely interested in trying more so thanks for sharing. Pineapples and Flamingos - Oh My!